I recently visited the campus of Dalat International School in Malaysia. 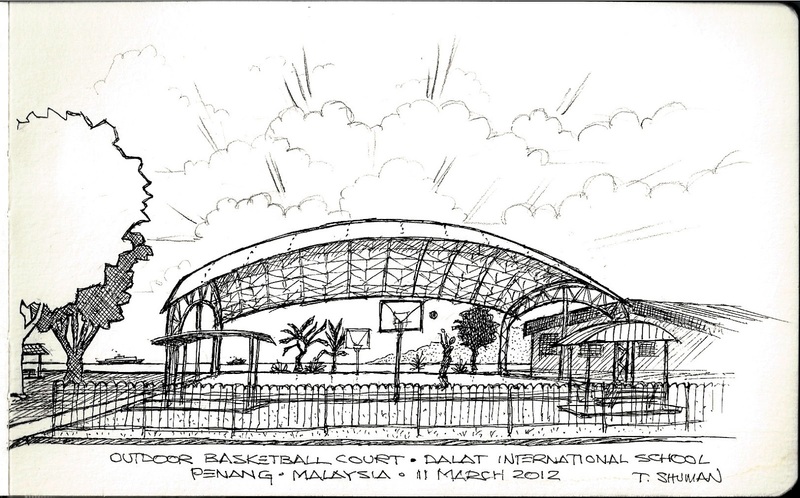 I loved the shape of this outdoor basketball court and just had to sketch it. Notice the ocean off in the distance! It was very warm that day - and humid.